About a year and a half ago I decided that I wanted to start a professional organizing business. Like many others, I had no clue if this was already a profession or not. I hopped onto Google and started my search quickly finding the amazing National Association of Productivity and Organizing Professionals. I was blown away! I was NOT the only one who thought this profession was needed and, not only that, there was this outlet of education, discussions, and so much more! “I need to be a part of this,” I thought. I continued my “googling” and found NAPO Baltimore, noticing that they have monthly meetings. When I saw that I could come as a guest I quickly registered for the next event. I remember waiting in anticipation for the day to come that I could meet these other organizers, and I have to say… I was not let down. I got to the meeting early and waited until their board meeting was finished and they opened the doors. I was instantly greeted by many warm welcomes and smiling faces. Once all attendees were there we sat down and introduced ourselves. When I stood up, said my name, and told them that I was interested in starting my business I felt a proud energy that my future colleagues sent towards me and a sense that I belonged. I remember that this particular meeting was discussing bookkeeping, they had a guest bookkeeper come in and talk about what she could do for small businesses. 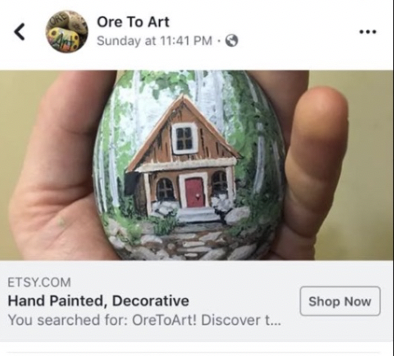 I had yet to start my LLC but, boy, was this getting me excited and ready to do so! I was so thrilled that I left the meeting that night and joined NAPO national. Shortly after that, I joined NAPO Baltimore and attended the NAPO conference in Pittsburgh where I saw many of my colleagues who pulled me under their wing. 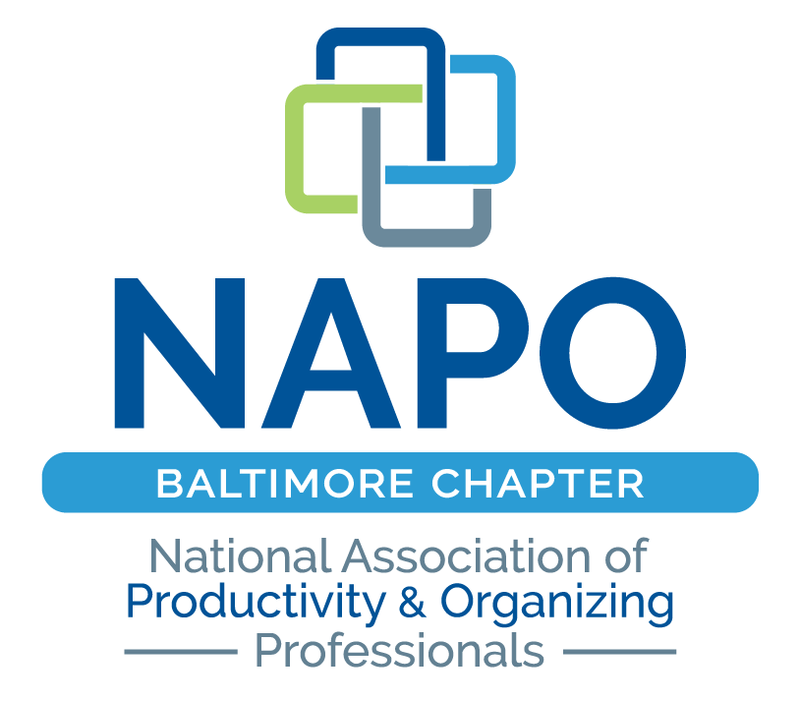 Upon leaving the conference I decided to join the NAPO Baltimore Board as their Director of Marketing. What an amazing position this has been. I feel SO involved within my profession, but more importantly, involved with some of the most astonishing people. We boost each other up, give each other business, and grow as a unit. Not only are these people my esteemed colleagues, they are quickly growing to be my friends. I am so thankful that I found and joined NAPO, there’s nothing quite like it! Owner, Orchid Professional Organizing, LLC. Creating digital photo books from old photo albums offers an opportunity to share precious memories with your family and friends near and far. Scanning the old photos, a necessary first step, safeguards your photos with a secure back up. 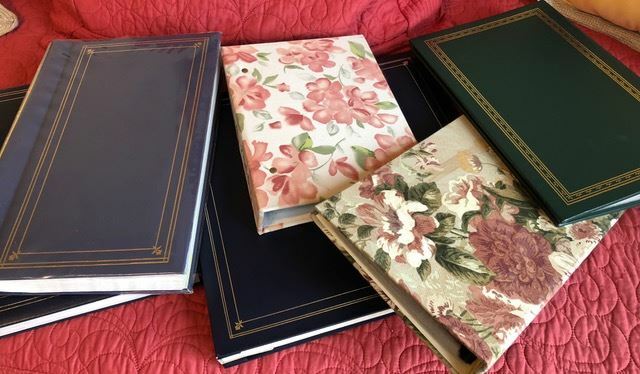 And rather then storing bulky, mismatched albums in a cabinet or a box in the back of a closet or under a bed, albums of a uniform size and color, beautifully displayed out on a shelf, will more likely be viewed and enjoyed. While there may be a slight learning curve if you have never created a digital photo book, most programs are easy to use and offer good technical support. Following, is a list of benefits that will make the time involved in this type of photo organizing project, well worth the effort. Multiple people may want a copy of the same album. This can easily be accomplished by printing several copies of a photo book. 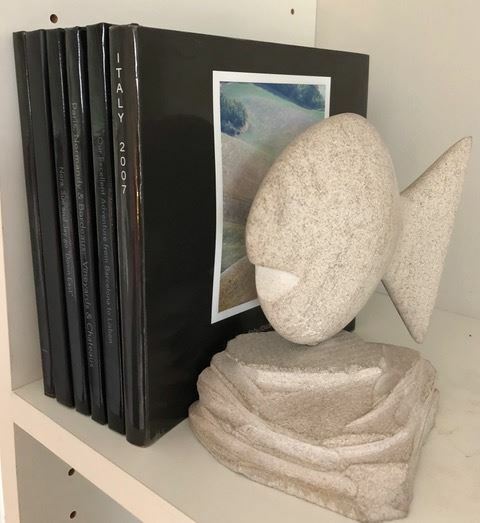 Depending on the program used to create the project, your photo book can most likely be saved, allowing additional printing of the book years later. Old and damaged albums are not safely holding your photos, especially those with sticky pages. The photos need to be removed and after scanning, should either be stored in acid free boxes or, if you choose not to make a digital photo book, they should be returned to better quality photo albums for viewing. Some people are comfortable letting go of their photos after scanning and securely backing them up. For self-protection, wear a mask if handling moldy albums and for the protection of the photos wear a pair of gloves while removing and scanning. Couples going through a non-amicable divorce may want to limit which photos they view in their photo book. Once a digital album has been made, it is easy to go back and alter the book by removing or adding photos and creating a different version of the original photo book as family circumstances change. For anyone who is downsizing, a smaller home may not have enough shelf space for big, bulky albums. By reducing your photos into more of an overview, you will end up condensing your albums. Uniform albums, designed with a consistent color and shape, will provide a beautiful display on your shelves and may compliment a fresh start in a new home. A more compact shape can also make the photo book easier to hold, especially for an older person. Floods, hurricanes and fires have resulted in many heartbreaking situations where all memories are lost. A photo book that has already been created and backed up can easily be printed again. There is even the possibility that some insurance companies may cover the cost of reprinting lost or damaged albums. Consider collecting photos from other family members to create an album. Adding additional comments and storytelling can turn a photo book into more of a photo journal. This is an opportunity to reach out to family members and learn about their stories and family histories. A photo book of this type makes a wonderful gift for a family member and can especially be enjoyed at a family reunion. Creating photo books can be time consuming. The more organized your photos are from the onset, the faster and easier the process will go. Consider hiring a photo organizer to help you with this special project and make it an ongoing goal to keep your current and future photo collections organized! Nadine Sachs, the owner of Organized2Succeed, specializes in Custom Closet Design and Photo Organization. She has appeared on the Fox45 Morning Show, and has been published in the Baltimore Home Improvement Magazine, Chesapeake Family Magazine and The Baltimore Sun. The season of Spring makes me feel a bit more energized and hopeful. It’s a time for renewal. You can feel it in the air and see the tiny buds of blossoms and leaves appearing on the tree limbs above you. Have you noticed crocus flowers peeking out already? Whether you are just starting out or have been working on organizing for a while, every system needs a bit of tweaking and TLC once in a while. Spring is a great time to renew, improve, and level up your organized spaces. On that note, read on for three practices to help you do just that. If you’ve been through the “big decluttering and organizing” experience of your home or office in the past, you probably want to avoid having to go through that again. You might remember how overwhelmed and stressed you felt right before you started, and once you finished, how awesome you felt. You want to keep that feeling of awesome going, right? Following, are three simple practices to help keep your spaces clutter-free and organized. When you apply these suggestions not only can you continue to keep things humming along great, but also make them better and better. Ready to level up your organized spaces? If you’ve noticed some backsliding on newly formed routines and habits, you are not alone. It’s completely normal. To counteract this, make sure to regularly check in with yourself and others responsible for maintaining the space. Put a reminder on the calendar to check in every few weeks. What needs to happen to fix what’s not working? What can we make even better? Plan and carry out any solutions you uncover. When you’re reviewing on a regular, fairly frequent basis, your systems will naturally become more refined and functional. I’m thinking you probably don’t want to get into the situation where everything is in such a total disorganized mess that you can’t even think straight again. Am I right? Especially if you’ve already been there and done that more than once. Could this be one of your “why’s”? The first reason that prompted you to get organized may have shifted. Go down that path of discovery again. Beyond wanting to find something quickly when you need it, what are some of the deeper reasons? Do you want to invite a new friend over for coffee without feeling like you have to apologize for “the mess”? Are you tired of discord and squabbles over clutter and long for a peaceful, happy environment? Is there a fun or important project you want to work on, but there’s no good place to spread out to do it? Dig down to uncover your true motivations. It’s sure to put you back on your right path every time. Successes are fraught with failures. You don’t have to beat yourself up, throw your hands up in despair, and walk away. It takes time, practice, and perseverance to make new habits stick. Realize you are human, forgive yourself, and get right back into your routine at the first opportunity. Enlist some help if you need it, from a friend, or schedule a maintenance session with your professional organizer. Visit www.hoptoitorganizers.com to read our other blog posts. Have you been successful at renewal of your newly uncluttered and organized space? How have you improved it and kept it fresh? There's a shift that's happening for many people and families across the country. While resources such as money and clothes and stuff and homes have always been considered valuable in society, there's one valuable that will always be finite and fleeting. That one thing is "time". It can be said that families and people in the workforce used to have more free, unscheduled time from day to day. But with today's busy schedules, dual income families, and multiple sport per season kids, free time is regarded as a precious resource of which many of us have very little. So, we know how to make money, and how to slowly save for the things we want to purchase. But how do we make the most of the time that we have, and create the feeling that we have more of it? Be present. Multi tasking can be overrated. Live in the moment, and focus on what's right in front of you. It's hard to enjoy the little moments with the kids, your favorite tv show, or walking the dog on a nice day, if your brain is already focused on the big meeting you have to lead the next day. Plan ahead. Often the moments we feel like we have the least amount of time are when we are simply trying to squeeze too much into too little time. For example, anything that can be accomplished at night to ease the morning routine makes a huge difference. Taking 15 minutes before bed to pack lunches for the next day, empty the dishwasher, and lay out clothes at a leisurely pace makes the next morning feel much less time crunched. Delegate. What do the busiest of CEOs and celebrities all have in common - they have assistants! If you're not in the position to have one yourself, get creative. Use an electronic calendar on your phone for not just appointments but tasks and reminders too. Use a notepad (in paper form or on your phone) to track ideas and thoughts you don't want to forget. Writing it down saves the idea for later and lets you get back to focusing on what you were already doing. Budget. Not just for more things and purchases, but for services that will free up your spare time. Hire a cleaning company to come through once a month, pay for an amazon prime membership or grocery delivery service. Of course you can always put a call in to your local professional organizer as well. We all know getting organized and streamlining our belongings saves time looking for things and makes tidying up take much less time. Prioritize. When it comes down to it, every time you put something on your calendar, you are prioritizing that activity over having free time at home. Organizing your calendar can be much like organizing your things. Sometimes there is just too much to fit in one space, and something's gotta go. If it's hard to resist scheduling something into an opening of free time, then plug "Sunday at home" into your calendar! Sorry we have plans that day. We're going to be at home catching up on things we have to do around the house. Or doing nothing. But that's the fun thing about free time, you can do whatever you want with it! Since 2015, Rachel Jennifer Interiors has provided relief to busy families and homeowners through home organizing, staging, and decorating services. 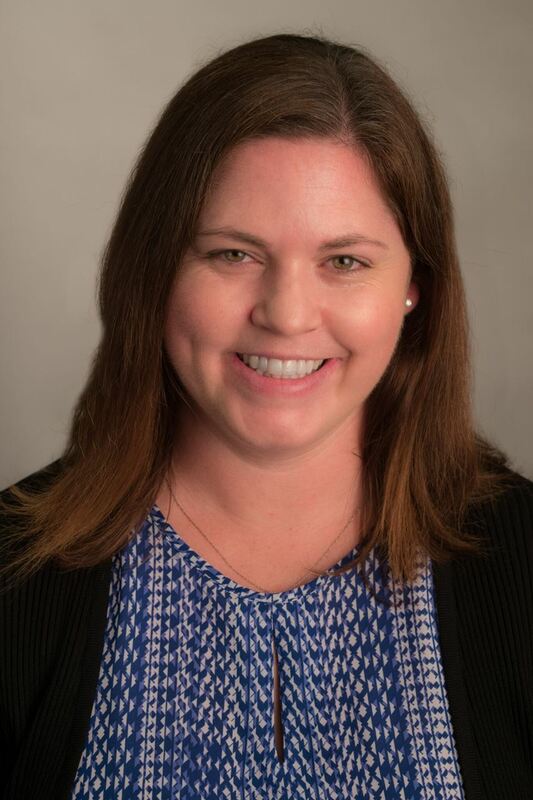 Rachel proudly serves on the board of NAPO Baltimore as Programs Director. For more information on getting organized and creating systems that save time, visit RachelJenniferInteriors.com, call us at 443-584-3723, or email RachelJenniferInteriors@gmail.com. One of the most popular New Year's resolutions is to GET ORGANIZED! 1. Replacements: Have you ever purchased an item at the store because you thought you were out? This often happens in the pantry. You thought you needed tomato sauce. You swore you were out. 4 days later, you find 6 jars on a random shelf in the basement. These were purchased as a back-up but since you don’t have a good organizing system, these errors happen more than you care to admit. 4. Space: The US Department of Energy reports that 25% of the households with a 2-car garage can’t use the space for parking because the garage is filled with “stuff”. What is the square foot value of your home? Do the math - you are paying a lot of money for space that you can't use for your car.